Have you heard the idea to imagine that our life is a jar and all things which we appreciate or love or just we need to do are rocks, pebbles, and the sand? 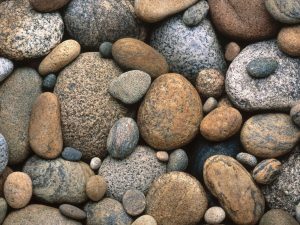 Our important things are the big rocks, less important are the pebbles, and not important are the sand. 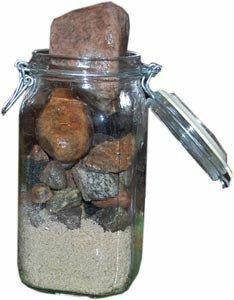 We have to put the rocks in this jar first then the pebbles and at the end to fill up with the sand. If we give priority to the smaller things in life (pebbles & sand), we will fill up our lives with less important things, leaving little or no time for the things that are most important to us. Why not apply this idea to our daily, weekly or monthly agenda trying to optimize our time management? At the beginning of each week, we need to define our several big rocks for the week – our main tasks and priorities and to plan them first. These are all tasks related to our goals, projects with a deadline or emergency cases. They met the criteria for urgent (requires immediate actions) and important (related with the results of our mission). The tasks less influence the achievement of your goals we plan next. Very often tasks we complete are important for other people and their goals but not for ours. We need to prioritise them with less priority and to complete them in the rest of the time after the main tasks (as the poured sand in the jar fills the gaps around the rocks). Simple steps to focus activities to right priorities.